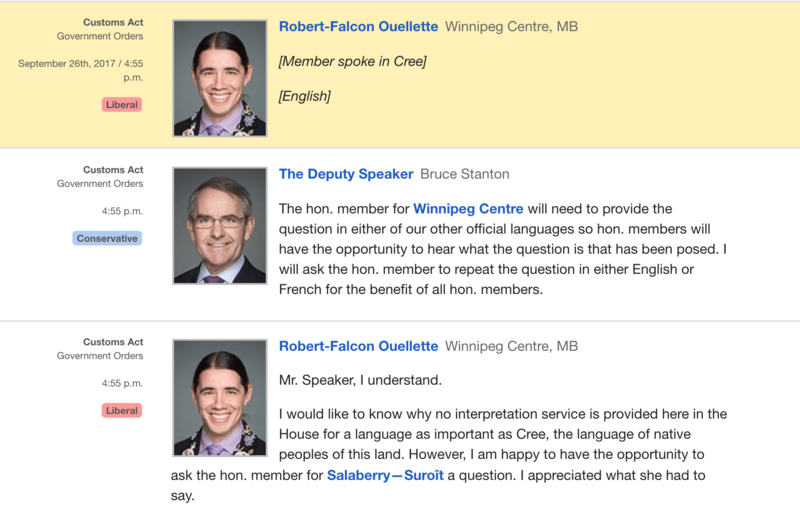 Robert-Falcon Oullette, Member of Parliament for Winnipeg Centre, rose to address the House of Commons in Cree in May 2017 about the safety of Indigenous women, and appropriately, did so in Cree. 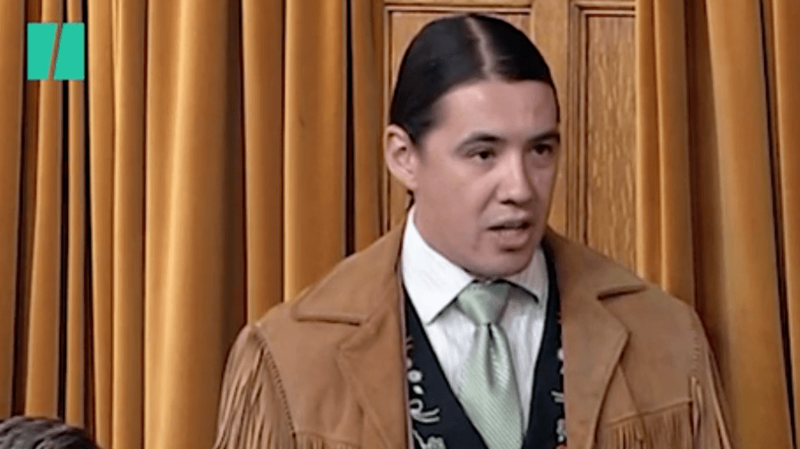 Plains Cree is Robert’s birth right as a member of Red Pheasant Cree Nation, but it is a birth right that was denied him by the legacy of residential schools; instead, Plains Cree is Robert’s third or fourth language. Recently in the Prairies two high profile violent events occurred where young Indigenous women were killed and severely hurt. anohcihkî nîswâw âcimowina kipêhtênaw ita oskâya-iyiniw-iskwêwak ê-nipahihck âhpô ê-kî-sôhki-wîsakatahohcik. These events occurred while people stood by and recorded these incidents. êkosi kî-itahkamikan mêkwâc ayisiyiniwak ê-kanawâpahkêcik mîna ê-masinipihcikêcik. êkosi tâpitaw kâ-âh-ispayik. The freedom of the violence calls into question our own humanity. kita-nâkatawêyihtamahk piko kâ-âh-isi-pamihitoyahk, kiyânaw ayisiyiniw kâ-ititoyahk. I am a supporter of the Moose Hide Campaign and it is time that we raise Indigenous women above our current beliefs. niya niwîcikâpawîstên ôma môswa-ayân atoskâtamâkêwin (Moose Hide Campaign) êkwa ispayin ta-wihtamahk ôma kah-kitimâkêhikiwina, ta-kistêyimâyahkik kahkiyaw iskwêwak. My aunts, cousins, daughter and friends are beautiful; they are courageous, humble, intelligent, loving, respectful, honest, hardworking. nikâwîsak, nisikosak, nitawêmâwak, nitânis, mîna nitôtêmak miyosiwak; sôhkitêhêwak, tah-tapêyimisowak, sâkihiwêwak, kistêyimowak, tâpwêyihtâkosiwak, sôhki-atoskêwak. They deserve additional protection of our laws so people think twice before they destroy lives. kitakî-manâcihihcik, kitakî-manâcihikocik oyasiwêwin, êkosi namôya sêmâk kita-kitimahihcik, namôya sêmâk ka-nisiwanâcihihcik. This entry was posted in From the Mainstream, Video. Bookmark the permalink.